← Have a Helping of 8-bit Halloween Horrors! 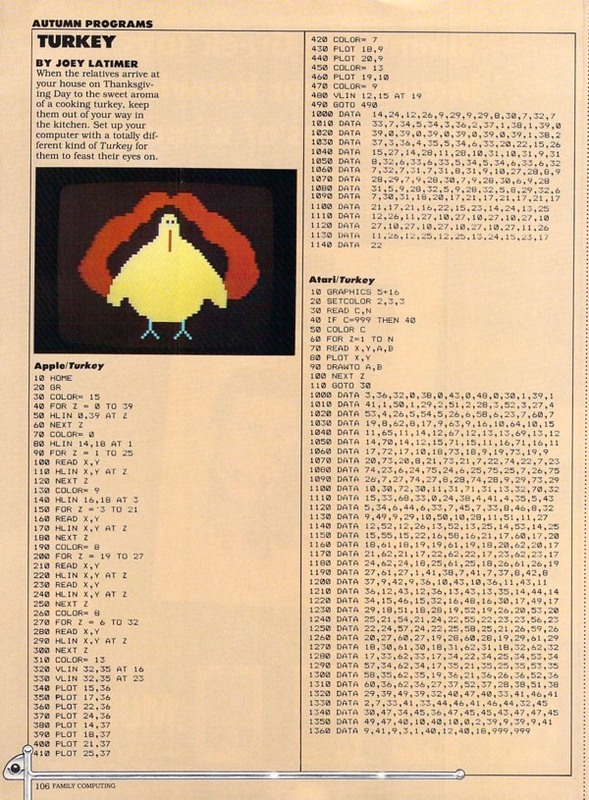 This entry was posted in Apple II, Atari, Holidays, TI-99 and tagged BASIC, programming, Thanksgiving, WKRP. Bookmark the permalink. Family Computing is one of my treasured publications on retro computing matters, also did the TRS-80 Model I/III version of this bird which kind of looks like the TI-99/4A’s minus the color. 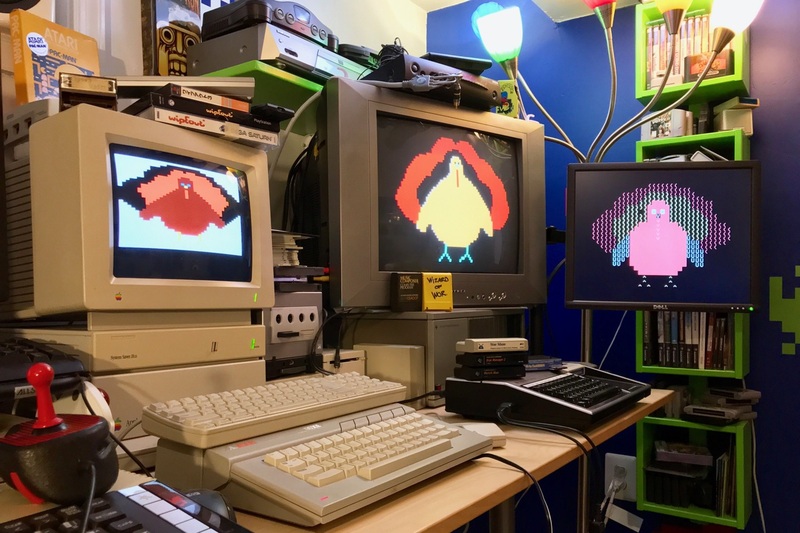 Thanks for showcasing other great computers of yesteryear showcasing their Turkey talents. Why do you think the 2.8 mhz IIgs drew the turkey so much faster than the 8 mhz ST? That’s not an ST. That’s a 6502-based Atari 800-equivalent. Core tech from the ’70s, advanced though it was.